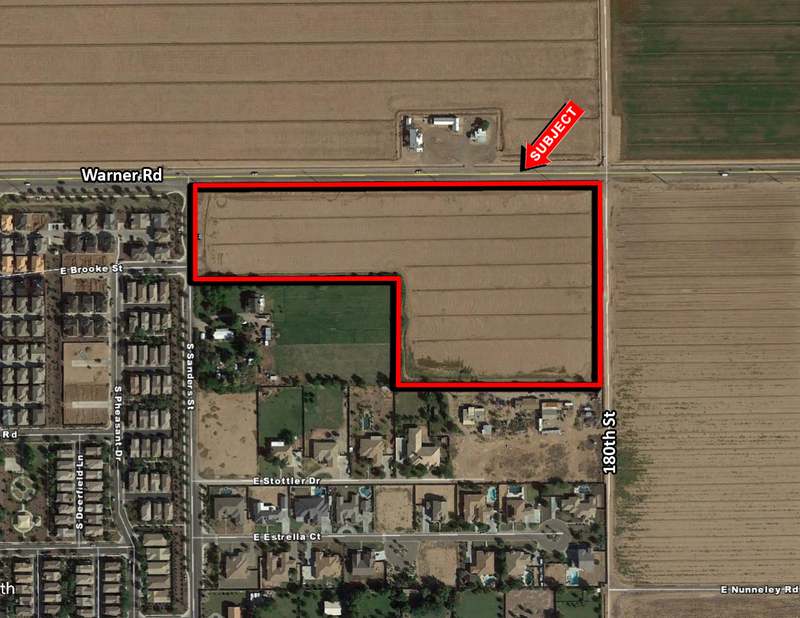 Subject property is located at the southeast corner of Warner Rd & 180th St. Property is well located in a high growth area of the Valley, close proximity to the Loop 202, and a full diamond interchange at Power Rd. Great for a homebuilder or a developer looking for an excellent position in the Southeast Valley. Seller will provide time for annexation and entitlements.